Hammock camping largely depended upon trees. It should come as a no-brainer that we need to take care of them. Or at least, don’t harm them. Should you choose a tree-friendly strap the next time you go hammocking? Beyond their functions and benefits, tree-friendly straps are the product of campers’ raising awareness of the impacts that humans can and have caused to the environment. 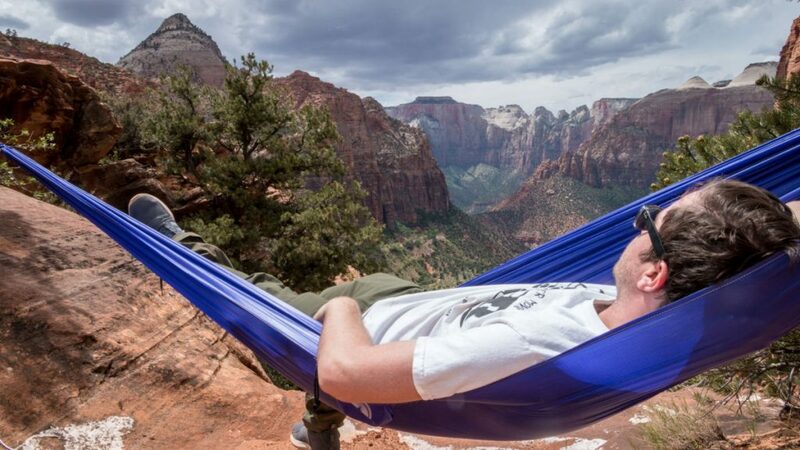 For an activity that is centered on nature and is all about nature, it’s crucial for hammock camping to prioritize preserving the environment while being able to enjoy it at the same time. There are numerous people who are convinced that hammock camping causes damage to the environment. Some city parks banned the use of hammocks in their area. This is caused by the perceived harm hammocks cause to the trees. This notion is obviously something greatly deter people from getting to know hammock and experiencing them themselves. The existence of tree-friendly straps, however, is something that many people find can rely on. The advocation of tree-friendly straps itself makes the activity accessible to more people. A suspension system makes things so much simpler for hanging a hammock. Straps are also quite versatile when it comes to length or tree distance. For hammock ropes, you need to choose the correct type of ropes. Don’t pick the materials that are obviously going to harm trees. Materials such as plastics, for example. Chose ropes with natural fibers instead. With tree-friendly straps, you won’t have to worry about this issue. The eco-friendly strap itself is wider than the regular tree strap so it puts less concentrated pressure to only a narrow area of the tree trunk. The materials used are also eco-friendly, safe for the environment. You don’t have to deal with knots anymore. If you’re one of those people who are not knot-savvy, then tree straps are the way to go. Damages to the tree barks are caused by girdling and prolonged frictions to the surface of the tree. This causes damage either in short or long-term. The damages can be immediate or it could be the cause of cumulative damage overtime by hanging hammocks irresponsibly. The tree has a layer of cambium that produces new cells, and the cambium layer is very thin. This layer is extremely crucial to distributing nutrients to the whole body of the tree. When the cambium is damaged, the tree’s health is compromised and it could eventually lead to tree death. Aside from choosing the option with the least potential damage to the environment, there are obviously other things that you need to be aware of. Some of them include disposing of the human waste responsibly, storing your belongings, as well as where to stay when hammocking. Avoid places near the water. Stay around 70 meters from the body of water to prevent damaging the unique vegetation around the area.